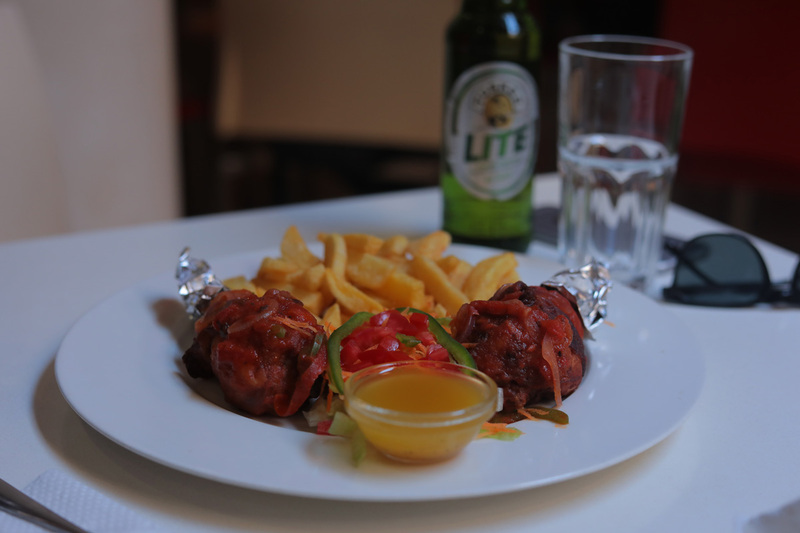 Spiced chicken drumstick fried with onions, tomatoes & green pepper served with chips & salads. 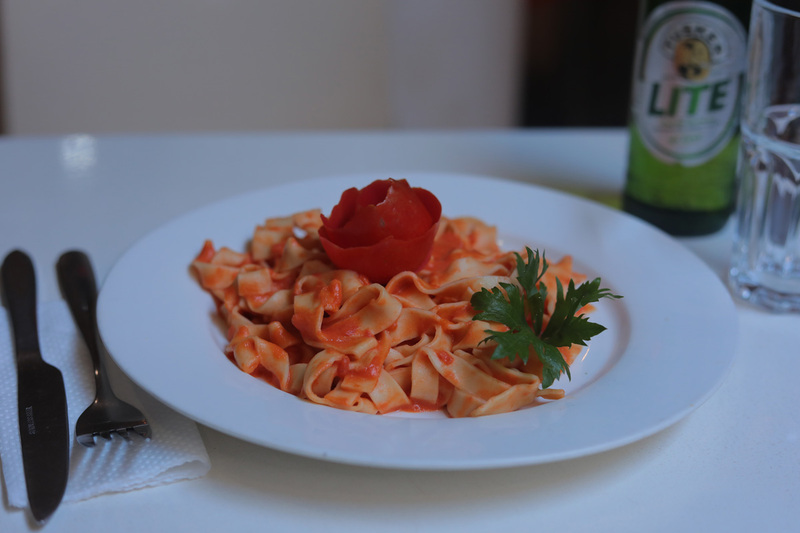 Homemade fresh pasta served with pink sauce (tomato sauce & besciamella). 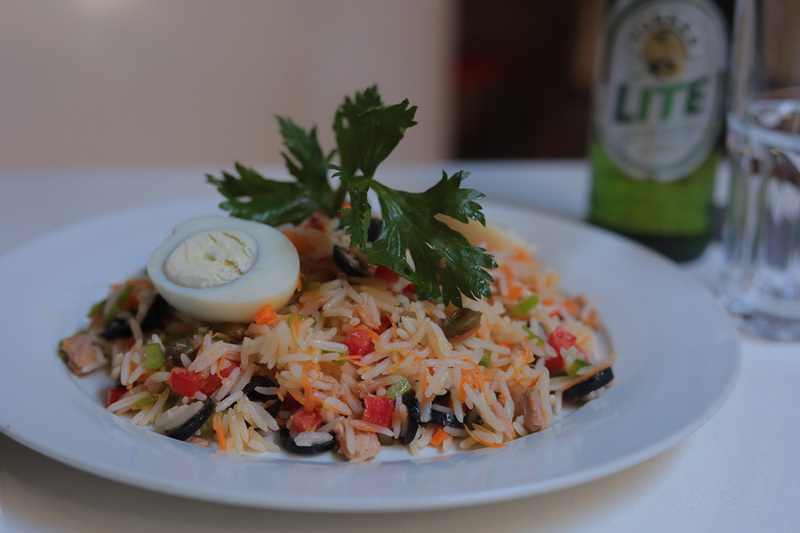 Steamed rice with fresh tomato cubes, carrots, celery, capers, black olives, tuna, & boiled eggs.